Being a mom and grandmother of two “little ones,” we’ve come to fully understand the struggle of finding fun, family friendly, things to do in Myrtle Beach - especially for locals during the off-season. So, we decided to create a Pink Pineapple academy, specifically for mom’s and their little ones. 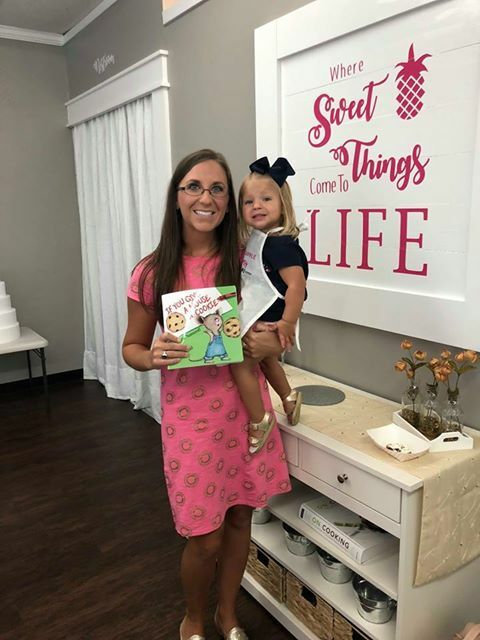 These Pink Pineapple “Mommy & Me” academies involve creating a delicious treat and reading a book. And, the sweets are just half of the fun. Matching aprons, decorating, and story time together makes each “Mommy & Me” morning one to remember. 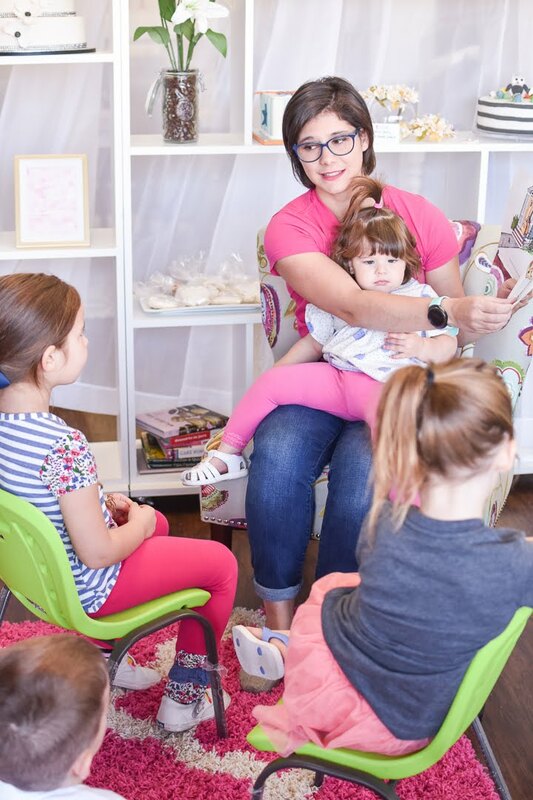 Together, each class begins with story time on the couch. The story sets the theme for each class, so the story determines the dessert we’re making. Following story time, we learn about each baking tool and ingredient. Then, in the kitchen, we get to baking. We may create our dough (in the case of cookies or pastries) or we get ready to decorate (in the case of cupcakes or cake). We complete our finishing touches, take lots of pictures to share and you leave with the delicious treats and memories to take home with you! "Thank you again so much! We had a great time and the cookies are delicious!" 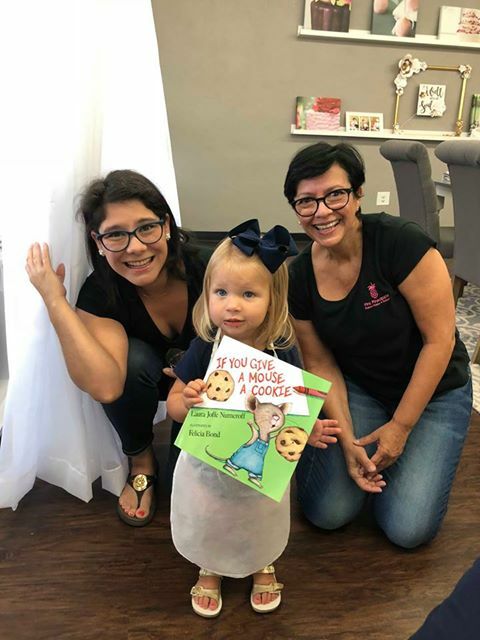 Pink Pineapple “Mommy & Me” academies provides an outstandingly fun learning environment, children ages 4 and below are welcome! Classes take place once a month on Saturday mornings around 9:30. The cost to attend is $25. All supplies (including super cute aprons) are included in the ticket price, and attendees get to take their creations home. We keep the class sizes small so that everyone receives one-on-one instruction. Due to class size, we highly recommend purchasing tickets in advance!